Little complex of apartments with swimming pool and parking possibilities. The residence is situated near the lake ca. 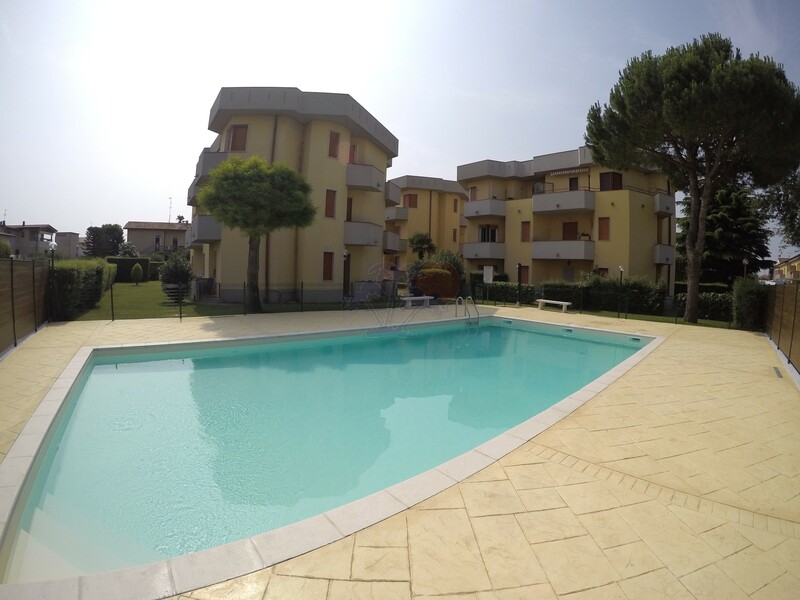 100 meters from the beach and about 3 km from Peschiera Centre, 6 km from Sirmione. Bus connection to Peschiera or Sirmione just a short walk away. In the little Centre of San Benedetto all kind of shops are available. A new path beside the lake allows reaching Peschiera by walking or by bicycle.